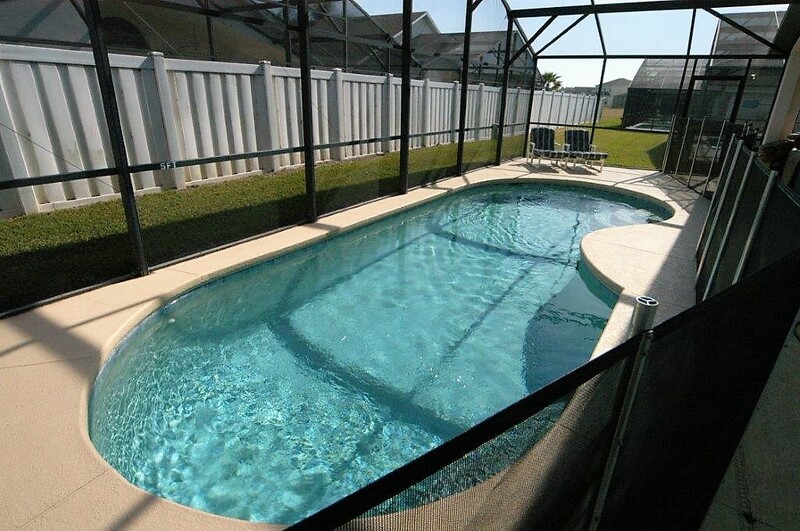 4 BEDROOM, 3 BATH Disney/Orlando Area Vacation Pool Home featuring OUTDOOR HOT TUB, GAMES ROOM & FREE WIFI! The BEST choice for your next Florida vacation, this rental home is perfect for large families, sports groups and family reunions. You’ll stay near the Walt Disney World resort, Universal Studios Florida®, SeaWorld Orlando®, Shopping, Restaurants, Outlet Malls and Golf. Florida’s beaches are a short 45 minutes away. 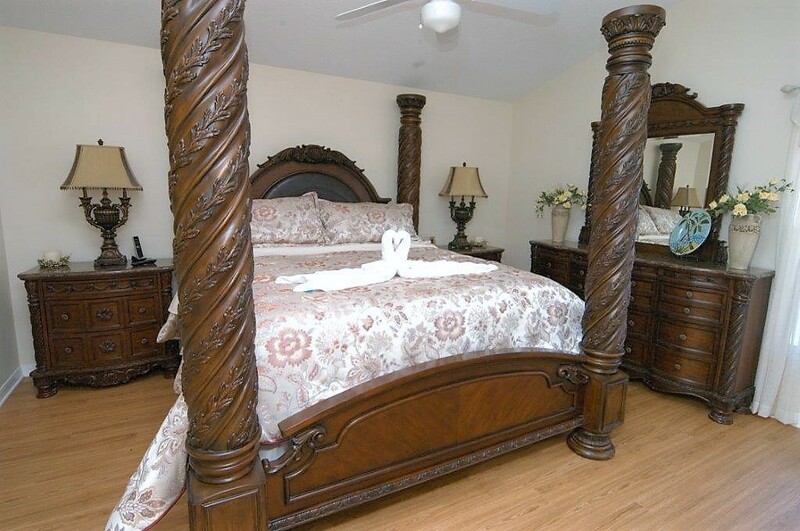 This private screen pool home offers two King size bedrooms, one Queen and two Single beds. 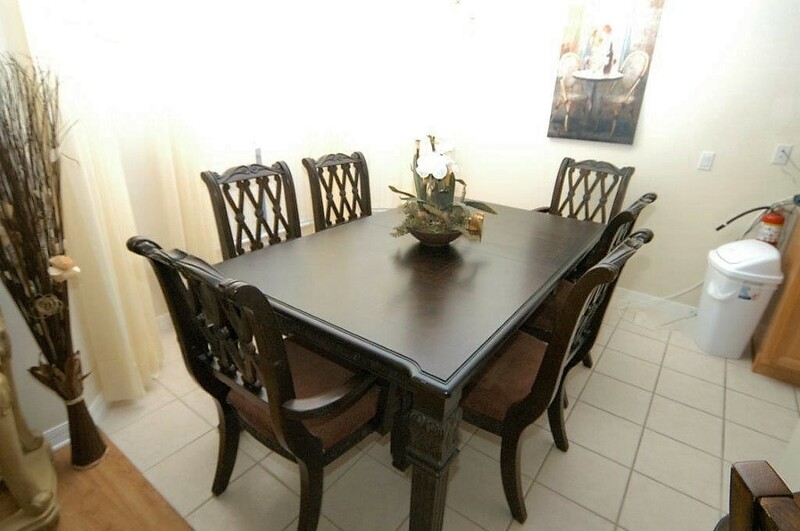 This home is equipped to an exceptionally high standard of furniture. 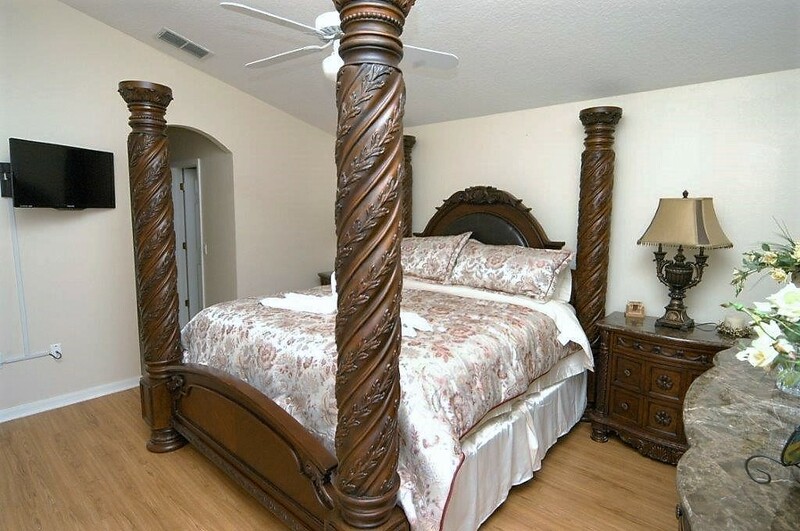 The Master bedroom has impressive massive furniture with an en-suite facilities that offers a large shower, roman tub, his and her vanity, his and her closet. 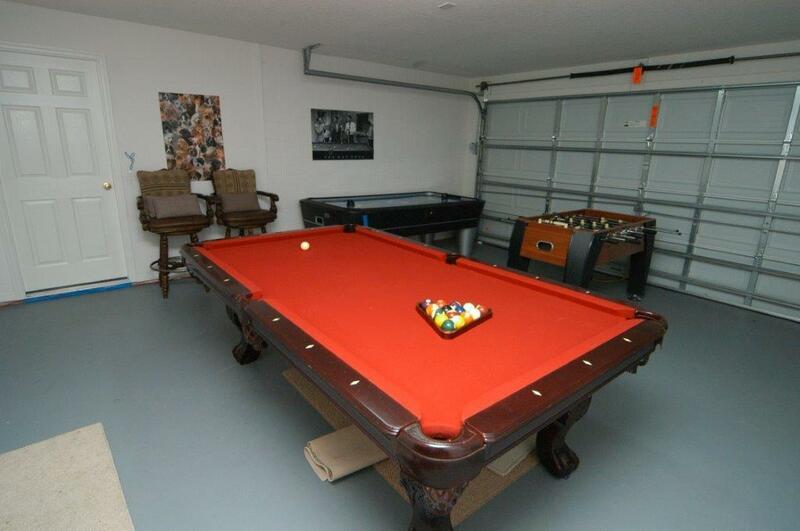 The Master has access to the pool area via a patio door. 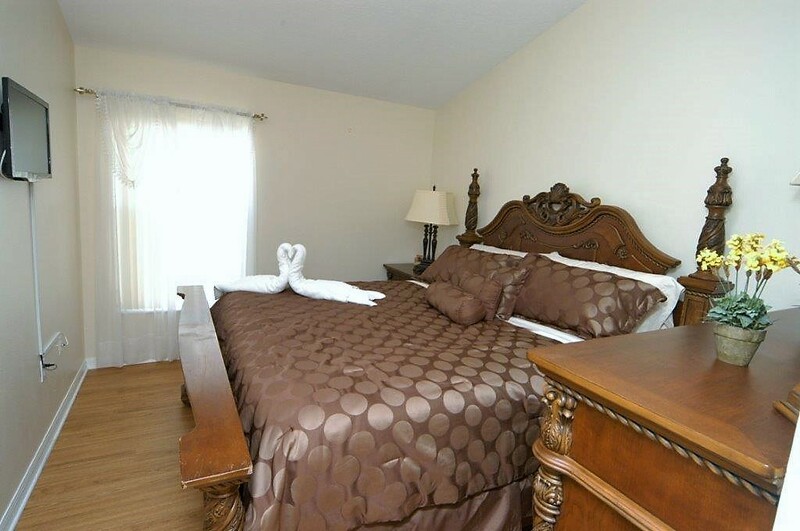 The second King bedroom has the same high quality furniture and also has an adjacent full washroom. 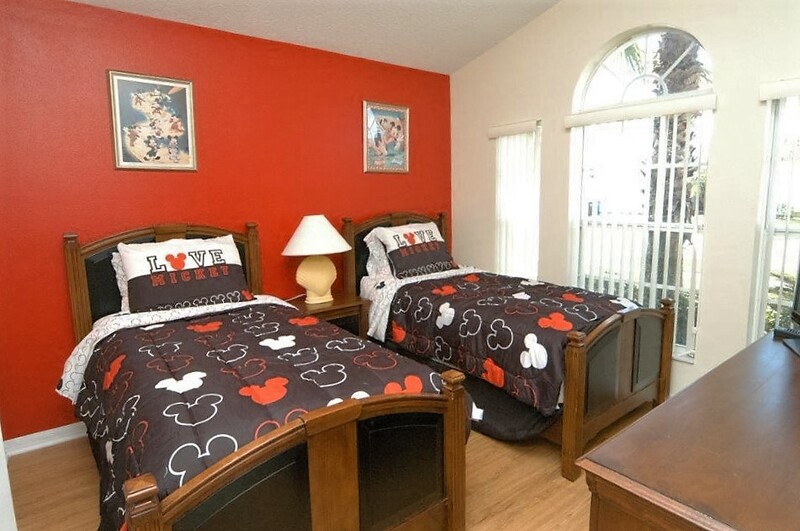 The Queen size bedroom and two single size beds share a Jack and Jill bathroom. 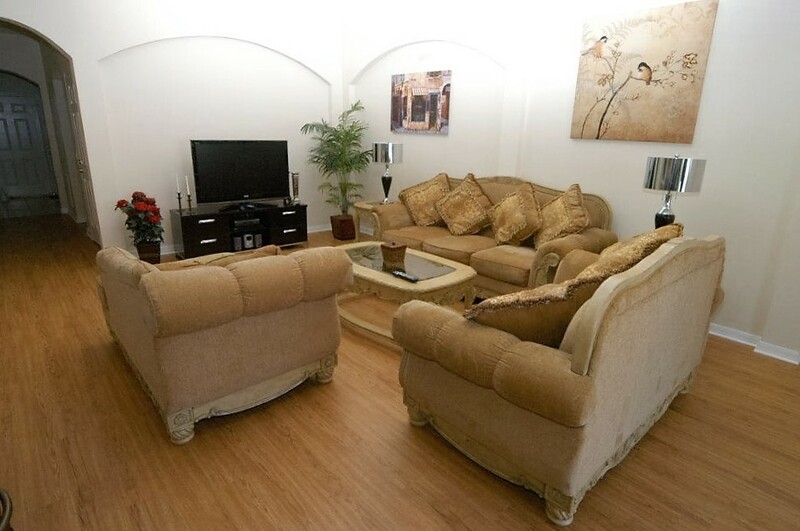 All rooms and living area are covered with elegant floor covering and tiled for the entrance, kitchen and dining area. This home has flat screen T.V. 's in all the bedrooms and also includes a 48" T.V. in the living area. All T.V. 's are connected with cable H.D. and some also have a Blu-ray player. There is a phone system that includes all long distance calls through-out U.S.A., Canada and Puerto Rico. The high speed internet can be connected via WIFI with an unlimited use. 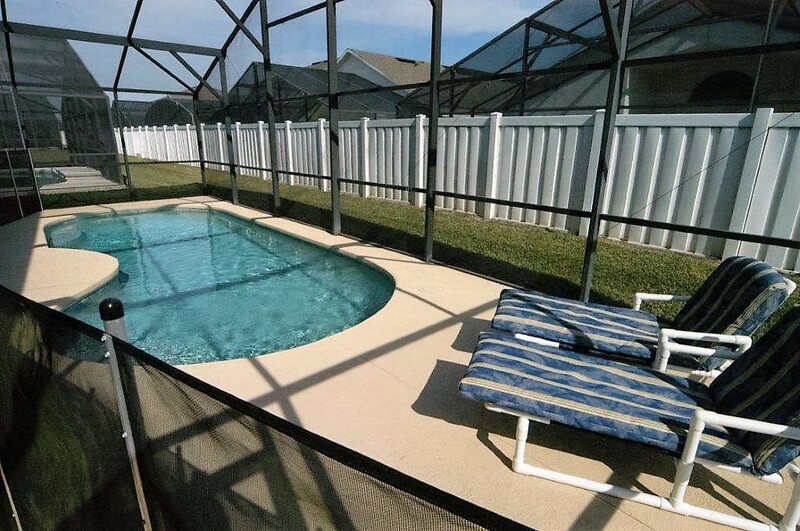 The pool area is lania covered and also has a pool heater available upon request. You may also dip yourself in the relaxing spa which is heated at no extra charge. 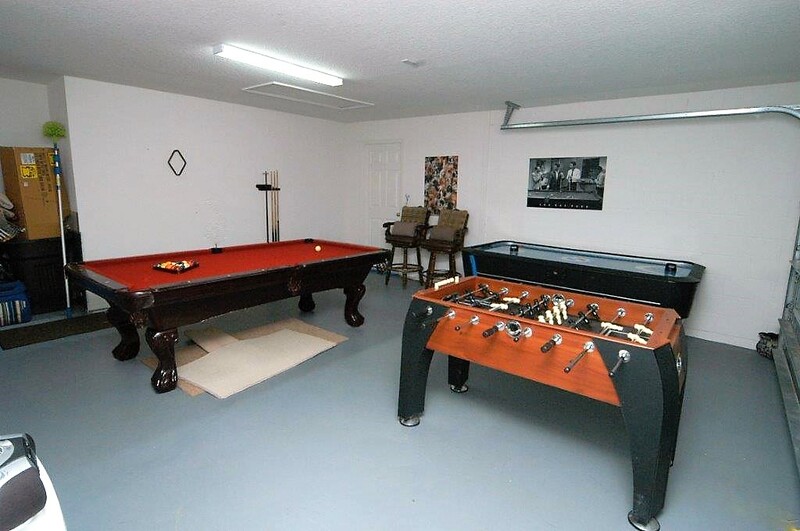 Available for your enjoyment is the newly added game room that has a fabulous pool table, foosball and air hockey. You may spend endless hours having fun with family and friends. 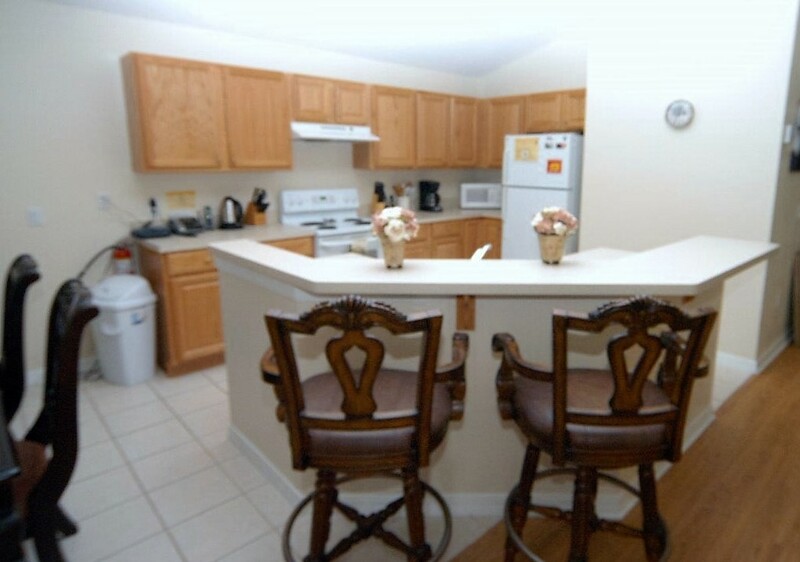 You may enjoy cooking in the full size kitchen area. This kitchen offers all modern appliances, with ice maker fridge and all a kitchen is in demand of. The dish washer will take care of all the dirty dishes and you will have time to enjoy the rest of the home. Make this 4 bedroom vacation home the place to stay with unforgettable memories that will cherish with you. 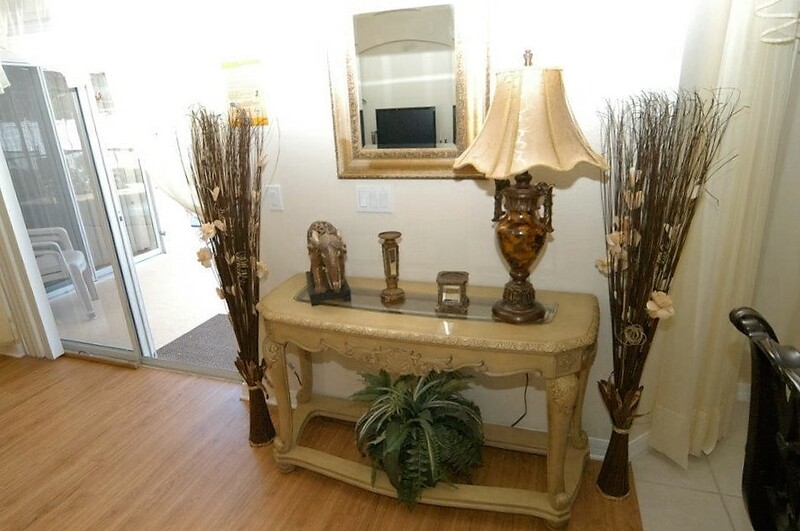 This comfortable and spacious home is made to relax and enjoy all it has to offer. Make this home your choice that you'll remember forever. Don't wait. 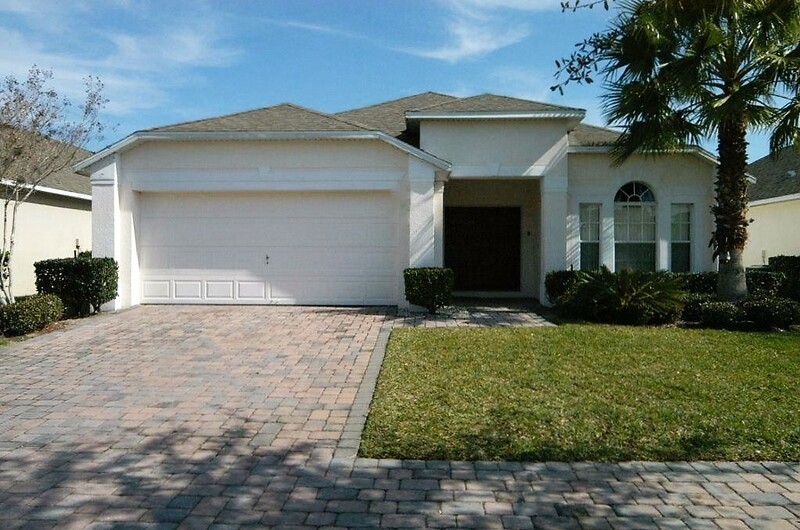 Start planning your next family get away and make this Orlando Vacation Home yours today!